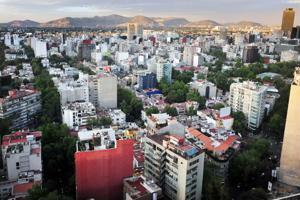 Home Unlabelled Is Mexico a strategic sourcing nightmare? At first glance, sourcing goods from Mexico appears feasible for North American businesses. The country's proximity to the U.S. border, as well as its coastal ports along the Pacific and Caribbean, make it a strategic networking hub of the Americas. With the right approach to the procurement process, obtaining goods manufactured in Mexico would be a lot cheaper than acquiring materials from overseas. However, many strategic sourcing companies have speculated as to whether Mexican infrastructure and assets can adequately handle a dramatic influx of goods. In anticipation of the re-shoring trend that is sweeping North American enterprises, transportation companies operating south of the border need to purchase the right property. Coronado Logistics CEO Matt Hamson recently spoke with SupplyChainBrain on the matter, asserting that Mexican trucks are having a difficult time handling the amount of volume they're expected to distribute. The professional acknowledged that the majority of the Mexican transportation industry is comprised of small companies - with 75 percent of entities participating in the logistics industry possessing 100 vehicles or fewer. What's the problem with this picture? According to Hamson, these logistics businesses cannot adequately transport the amount of materials their clients require them to deliver. He cited an example of one refrigerated trucking company in the nation that turned down an average of 30 loads per day because it lacked the necessary assets. Despite what many may initially believe, Mexican violence is primarily influenced by the drug trade as opposed to theft, as criminals have little interest in commercial goods. Another assumption is that Mexican transportation companies lack contemporary technology, such as GPS, when in fact such businesses possess digital logistics assets. As more manufacturing-related investment is directed toward Mexico, managed IT services will be able to bring more advanced implementations to logistics companies. Advanced planning and distribution analysis software will likely be brought to the nation through companies interested in sourcing from the country's businesses. The reason why this would occur? Dow Jones Business News noted that Mexican production rose 3.6 percent from May of last year, supported by growth in the country's automotive industry, which accounts for nearly a fifth of its manufacturing economy. More than 1.5 million light trucks and cars were produced as of June. In this respect, vehicle production will likely support Mexican logistics companies that are struggling to acquire the appropriate assets.